A lot of people who have heard about the relaxing and calming effect of Kava are probably ready to try the drink. But such people may have found themselves wondering how to make kava. For an individual to get the best result, there are numerous ways for sakau preparation. In more recent years, recipes on how to prepare kava have advanced. This article will explore the traditional way of making kava and some other preparation methods. What Is The Traditional Kava Preparation? How To Prepare Kawa With The Blender Method? What Are The Rules Of Preparing Micronized Or Instant Kava? How To Make Kava Strong? How To Make Kava Taste Better? Strainer bag. An individual can make use of food grade strainer to produce a much easier, smoother to drink beverage. 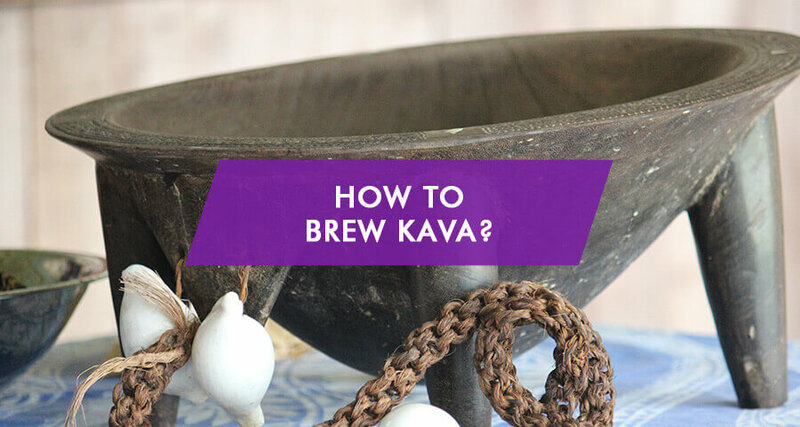 Now that the required ingredients and tools are known below are the steps on how to make kava tea traditionally. Put the amount of awa powder desired inside the strainer bag and put the bag inside one of the kava bowls. Pour some amount of warm water directly inside the strainer bag containing the awa root powder while sitting in the kava bowl. How strong an individual want the yaqona tea to taste will be determined by the amount of water poured in the dust. Let the bag sit in the bowl in a steeping position for some minutes. This will help to loosen the tough fibers of the awa. Gently press out the excess air in the strainer bag by twisting its top firmly. This is the most important step when preparing kava. Once the air has been expelled, an individual can start to knead the awa powder inside the water. While kneading the powder inside the bag in the bowl during awa preparation, squeeze the bag frequently to strain out all the liquid. The water will turn to a milky brown or densely brown color that feels a bit oily after the kneading and squeezing has been done for a few minutes. Ensure all water is removed from the root particles inside the bag during the yaqona powder preparation. Pour the brewed yaqona tea inside the second bowl and throw a few ice cubes or put it in the refrigerator to get them chilled. This can be the best way to take kava. The second wash can be done using the same bag with awa powder, but its effectiveness will not be like the first brew. Squeezing and kneading is an important technique used in making Kava tea. This technique helps to rupture the yaqona powder cell walls and produce kavalactones. The method can’t be skipped in most of the various methods of sakau preparation. Below are the steps for kneading sakau. Once the twisting reaches the level where the awa root powder and water is inside the bag, squeeze and strain the bag. This should be done while holding it under the water inside the kava bowl. 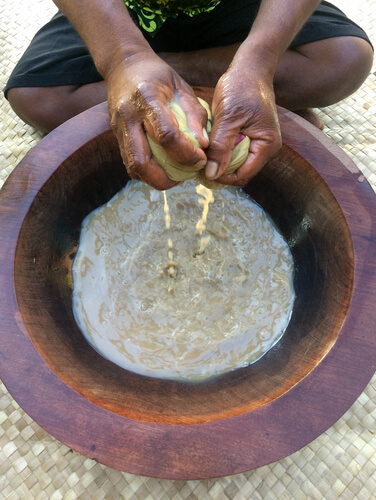 The kava kneading can be done for 10 to 15 minutes to get the result desired. When done, pour the sakau tea inside another bowl for consumption. Allow the water or other liquid such as coconut water to warm or heat up. Pour the water into the blender and place the amount of sakau powder desired into it. The amount of water used will determine the strength and effectiveness of the drink. This method is basically for people who don’t have all the time in the world to make yaqona tea using the traditional or blender method but are interested in drinking the tea. How to prepare micronized kava is different. Straining or steeping is not required. Get a warm to hot water or desire beverage and pour it inside a cup or container. Put the desired quantity of sakau root powder in the water inside the kava cup and mix thoroughly. Once this is done for a few minutes, the ava preparation is done, and an individual can drink it. Furthermore, how to take kava can vary with people. Some people do not prepare ava using the methods discussed above. Some use the kava toss and wash way of consumption. In this method, ava root powder is scooped into the mouth, and a glass full of water or desired juice and other liquids will be used to wash it down the throat. 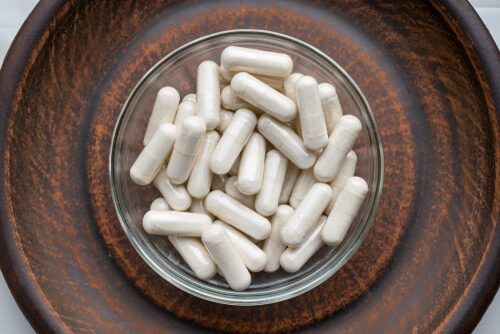 This is the conventional method for taking kava supplement or capsules and extracts. Using additives – an individual can add additive while brewing yaqona and soy lecithin is the most common addictive people uses. It is known to blend with the liquid and for extracting lactones out of yaqona correctly. Also, there is a plant-based and organic product called Kava Blender that is relatively new on the market. It blends well in water and offers a very mild flavor to the tea. Heat the sakau – No doubt, heating the sakau above 140 degrees Fahrenheit will make it lose its effectiveness eventually. But cooking it for a few minutes to almost 140 degrees Fahrenheit will make it stronger without reducing the kavalactone content while preparing sakau. Kava recipes can be a way to heat the sakau and make it stronger and more effective. Add more yaqona – When it comes to ava, the FDA tends to be very conservative with servings. However, there are no guidelines on how much kava to take. During kava preparation, an individual can add a more significant amount of its powder to increase the number of lactones extracted into the tea for a stronger brew. Add stronger ava to the extraction – this might be one of the most efficient ways to make the yaqona stronger but an individual needs to be careful as lack of moderation can result in kava tea high. Due to the taste of yaqona, most people cringe while consuming it. But there are some ways an individual can get the kavakava preparation done to make it taste better. It can be mixed with herbal tea blends, other beverages or juice extracts such as fruit juices to make the kava tea more palatable. Also, someone can make use of palate cleansers which helps in kava taste disguise. Fruits such as orange, pineapple, banana and other palate cleansers such as candied ginger and chocolate can help clear the mouth off the bitterness left in the mouth after sakau consumption. Alternatively, an individual can go for kava candies and extracts that can be found in all kinds of flavors. Most times how to make kava tea taste better depends on an individual preference; what works for an individual. At the time, there is no kava safety research. How to take kava powder can vary, but people need to consider a lot of things while preparing kava tea because of its interaction with some supplements and drugs. In a venture to make the tea stronger, an individual should be careful of the additive as it might result in some interactions. For example, even though kava and kratom can be mixed there can be a risk of interaction with lots of other medical drugs including sedatives, Levodopa, and Diuretics. Consult the doctor before using this herb. Note that although kawa seems harmless, it can cause dependence or even addiction. Luckily, treatment is available for those seeking recovery. The rehabilitation facilities nationwide always have their doors opened for everyone willing to overcome the addiction.